Believe the hype. Logan is exactly what we hoped for after that tantalizing Johnny Cash infused trailer. This film is one hell of a satisfying ride. However, be warned, Logan is not your typical Marvel Superhero movie. There is no spandex here, no plucky ‘can do’ world saving attitude. Logan is a far grittier and more personal story, a brutal road movie about pain and aging, family and redemption. 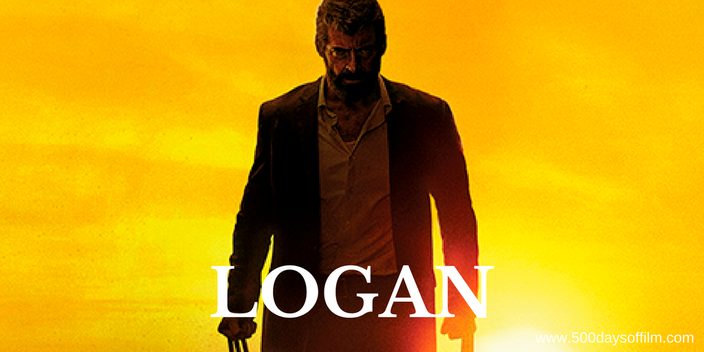 Logan’s 15 rating gives writer/director James Mangold permission to explore the full potential of Logan and Laura’s rage. Freddie Krueger is mentioned at one point and we are talking that level of stabby handed action. This is a particularly violent film, full of strong language, and definitely not one for kids (no matter how much they beg). As a result, Logan exists more on the fringes of the Marvel Cinematic Universe - and the film is all the better for it. Hugh Jackman is utterly superb as Logan - a character he knows inside and out, having played him for over 15 years. This final film reveals a Logan in pain, a Logan who suffers every time those adamantium claws emerge. This is no comic book, invincible Wolverine - a fact the movie's frequent meta moments make clear. Together with Patrick Stewart's brilliant Charles Xavier and Stephen Merchant’s Caliban, Logan has built a dysfunctional family. Amid the darkness, there is room for comedy here - particularly as the film explores the superhero aging process. The arrival of Laura upends their uneasy existence. Laura is a wonderful character - all scowls and claws - and Mangold explores her potential to the max. Far more powerful, is her relationship with Logan and Charles - giving this movie surprising poignancy and heart. Alongside this new family dynamic, Logan has more than its fair share of traditional baddies. They, of course, have mysterious and evil plans - led by Richard E. Grant’s Dr Rice. There are chases and acrobatic fight sequences, explosions and casualties. Just what we have come to expect. Lovely to see Eriq La Salle back on screen.